With spring in the air, it’s time to clean, but you don’t have to limit deep-cleaning to your house. Here are some spring cleaning tips for getting a shiny, like-new car. A good clean comes from the inside out. Start by pulling out all the trash and other items you’ve left in the car for long periods of time, then scrub any dirt out of the nooks and crannies of your vehicle. Be sure to work from top to bottom, in order to avoid cleaning something twice. We have no idea how much grime we drag into our car via the bottoms of our shoes. Your mats need some love, so power wash them and then vacuum the floors of your car. These two components accumulate a lot of dirt and sludge during winter. When washing the outside of your vehicle, make sure you don’t miss these two crucial parts of your car. Instead of going through a car wash, hand-washing is a gentler option that can allow you to get all the gritty details. 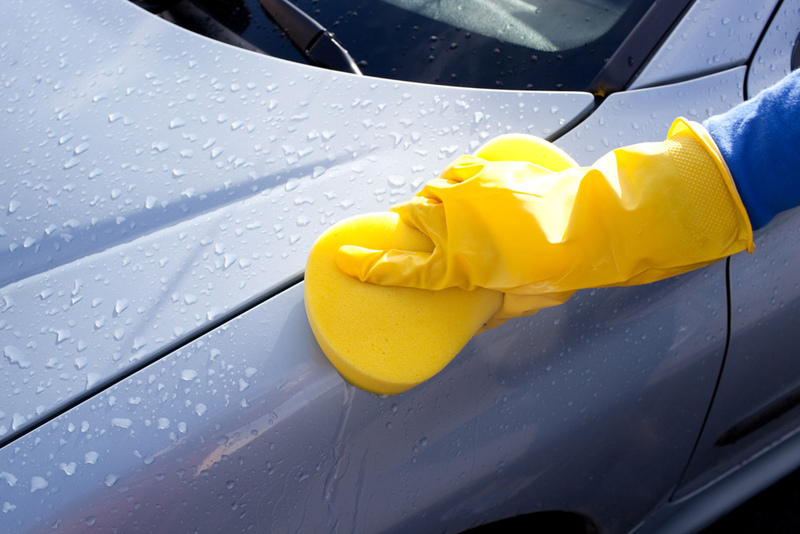 Be sure to manually dry the car instead of letting it air dry to avoid spots. The dirt from washing other parts of the vehicle can get on your windows, so clean them last and use a microfiber cloth to dry, for a clearer surface. Hopefully these spring cleaning tips from us here at Hardin County Honda will help you achieve a better-looking and longer-lasting vehicle.